Qatar has invested heavily in the tourney to be seen as a serious global player despite a tiny population of just over 300,000 nationals that has long crippled its ability to build a competitive team. A big celebration for Qatar after stunning Japan to win the Asian cup. 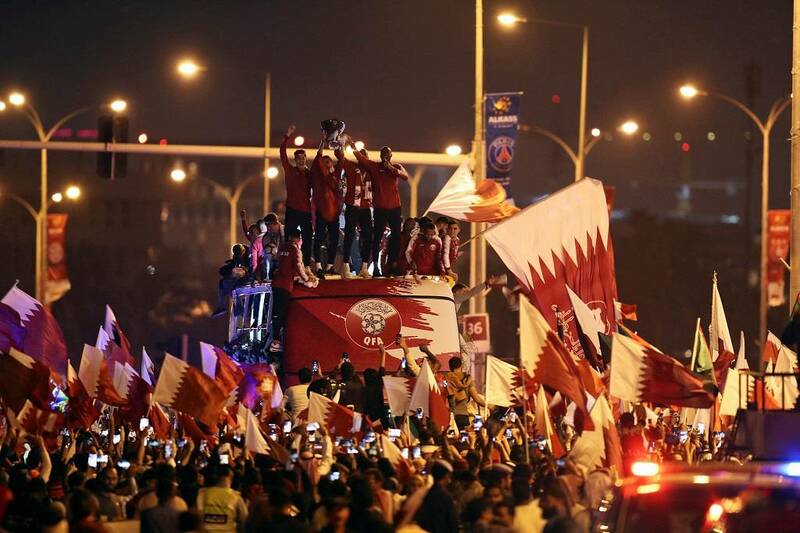 Hundreds of Qatari fans filled an open-top bus in Doha on Saturday, waiving flags to welcome the team home. “I congratulate the Qatari team following their Asian Cup victory and we wish them all the best in the coming tournaments,” a Qatari fan said. Qatar recorded a stunning 3-1 win over four-times champions Japan on Friday February 1 to make a bold statement ahead of their hosting of the 2022 World Cup. The Asian Cup title marks the most significant achievement it has made yet in the sport.